At Hendricker Funeral Home, we are committed to gently guiding a family through what is invariably a difficult time, to make the experience as pleasant as possible. We offer a variety of services ranging from Traditional and Cremation, to After Care counseling. Our staff continues a time-honored tradition of serving the community in good as well as difficult times. 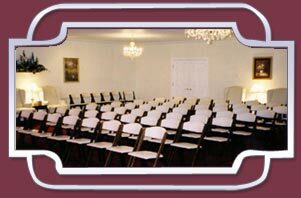 At our Funeral Home, you will find a comfortable and welcoming interior, easily accessible, with ample accommodations to receive family and friends. We offer a wide range of funeral services and support information. Whether for at-need funeral services, or to discuss any aspect of prearranged services, you can rely on a long-standing tradition of individual attention to specific wishes, customs, or religious considerations. There is a program to meet your individual wishes and means. We provide military honors if requested. We provide personal attention from a Funeral Director to the family from the first call to the completion of the funeral. We will guide each family through this difficult time with pressure-free options. Each funeral will be personalized and affordable for the family. As a family owned and oriented business, we will assist families at the time of need with churches, newspapers, filing insurance forms, arranging after funeral meals, etc.